AdFan™ The Hand Fan That Promotes! Conveniently sized to tuck away in a hand bag, backpack or briefcase. Large image area with full color 4" x 6" oval label. Made to last , the AdFan™ is sturdy and hard to break. This contemporary Japanese hand fan is built like a Lexus! 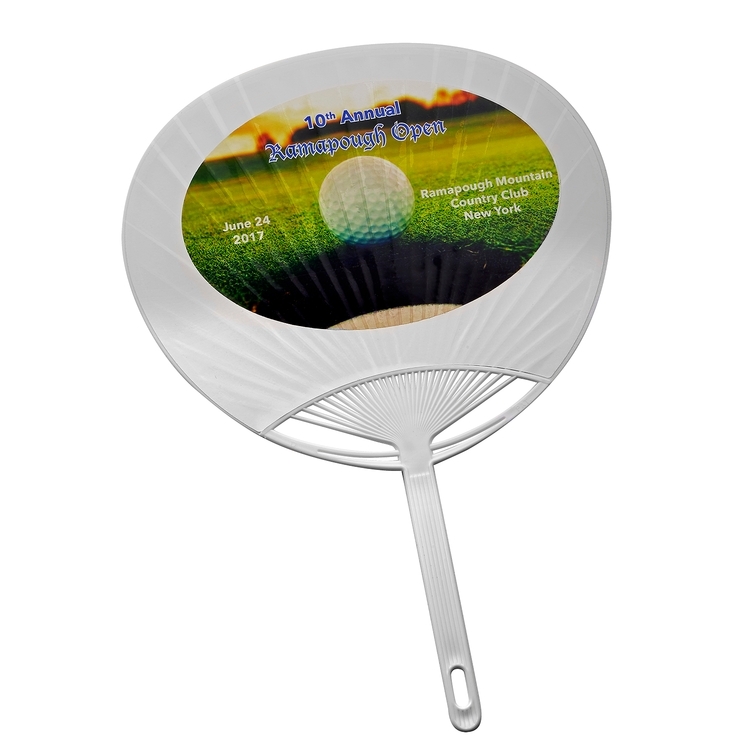 With full color digital printing your advertising message and promotion can be broadcast on this fan with a large 4" x 6" oval image area without any limit to the number of print colors. Brand your corporate image and presence by getting your name seen again and again. It’s an unbeatable publicity vehicle at festivals, parades, pop concerts and sporting events the year round. Attention is guaranteed! 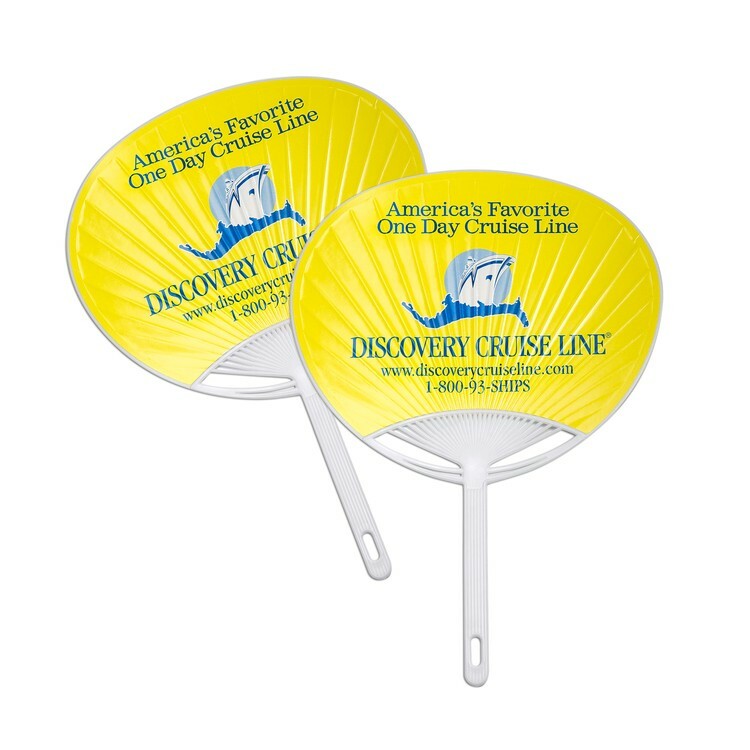 Remarkably, your audience will keep your logo indefinitely on these valuable, durable fans. Made to last with a flexible one-piece plastic frame and handle, AdFan™ is sturdy and unbreakable. This contemporary Japanese hand fan is built like a Lexus! 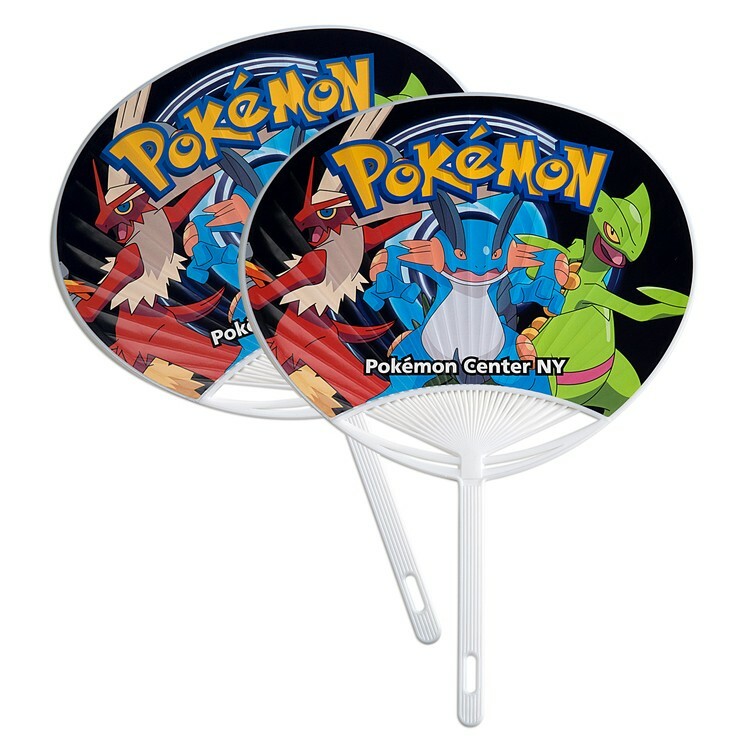 Your advertising message and promotion can be broadcast on both sides of this fan without any printing limitations. Brand your corporate image and presence by getting your name seen again and again.